George Clooney is awesome. Let’s just get that out there. The guy always looks like he’s just stepped out of a GQ photo shoot, and he’s been able to mold himself into a versatile actor that can play just about any role nowadays. Maybe I do have a man crush on Clooney, or maybe I’m just wildly jealous of him, but I thought it might be fun with his new film The American coming out today (that I didn’t get to see at a press screening and now I’m sad) that we could go over the top five Clooney movies. Three Kings – As Archie Gates, Clooney, tries desperately to steal a fortune of gold left behind during the Persian Gulf War. Along with his compadres, Ice Cube and Mark Walhberg, Clooney concocts a plan to get the gold and get away scot free. This is made harder because the three of them are also soldiers in the American Army. This is one of the first films where Clooney really showed that he had what it took to be the star of an action movie. Even though Three Kings isn’t a full-blown action film, the action elements that Clooney takes on here end up carrying over to his other movies in the future. O Brother, Where Art Thou – Clooney showed an entirely different persona, and acting skill, that we never knew he had during O Brother, Where Art Thou. He’s downright hilarious as the Daper Dan-loving Everett. With the Coen brothers at the helm, Clooney was able to expand his acting talents on this one. His portrayal of the wild-eyed, fast-talking Everett still remains one of his greatest acting achievements of his career. Ocean’s Eleven – Forget the sequels that Ocean’s Eleven spawned, the first one is by far the best and most rewarding. 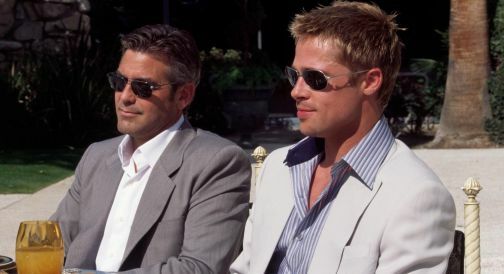 As Danny Ocean, George Clooney solidified himself as a headliner in Hollywood that could even rival Brad Pitt for the top credit in the film. Here he was able to carry a blockbuster movie with an ensemble cast, like it was nothing. He showed that he was able to work together with a famous band of actors without ego getting in the way. His work in the for Ocean’s movie looks effortless, but he makes the movie a whole lot of fun. Fantastic Mr. Fox – Yes it’s true that Clooney’s second best film, in my eyes, is one that we never see his face on screen. 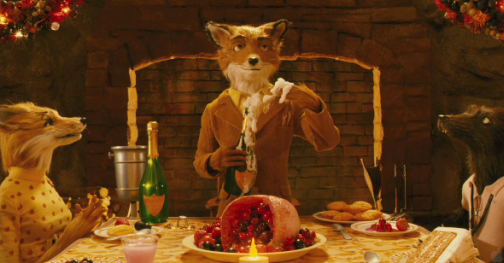 Wes Anderson’s kooky stop motion romp features Clooney’s voice talents for Mr. Fox. Clooney is hilarious in the movie giving us some of that O Brother, Where Art Thou humor that we have come to know and love. He delivers his lines with lightning fast speed, with humor as dry as it comes. I loved him as the choice for the main voice in this movie. I just couldn’t picture any other person taking on that role. Up in the Air – Not only is Up in the Air a splendid film, but Clooney’s performance is touching. At first he’s a cold man that fires people for a living, but without many words we can see his countenance change into a person who cares for other people. It’s hard for actors to let us know what the character is feeling without saying anything, but Clooney does it as good as anyone. Do you agree or disagree? What would your list of Clooney’s top films include? Let us know in the comments.